The new BMW 8 Series Coupe is now just arrived in global markets so tuning shops from around the world are already preparing their own solutions for the luxury coupe. 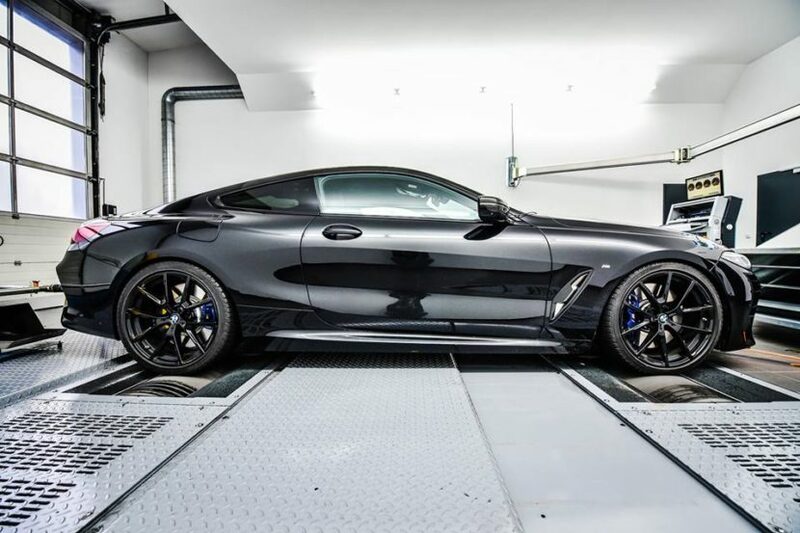 German car atelier Speed-Buster has recently launched a power upgrade for the BMW M850i Coupe by using an ECU upgrade. According to the company, the plug-in ECU attaches to the circuit using a regular connecting cable, so no car expertise is required. In standard form, the 4.4 liter V8 TwinTurbo under the hood of the M850i makes 530 hp (395 kW) and 750 Nm (553 lb-ft) of torque, but with the power kit, it raises these figures to 635 hp (474 kW) and 900 Nm (664 lb-ft), respectively. This is enough to bring the M850i on par with the BMW M5 F90 Competition. Furthermore, the power kit comes with an app which allows you to change between 16 engine performance modes. No pricing has been unveiled at the moment. Gorgeous in that 1st profile shot. Speed-Buster does not “give” the car 635 horsepower. It boosts/bumps/raises the horsepower to 635.